I know it hasn't been too long since we moved to the Lion City but every time we get to fly back to Manila, we can't help but feel somewhat touristy in our own country. I guess it's because at least every quarter, there's a new mall, a commercial complex or an attraction that would open and is worth checking out. So, during our ninja-like visit home, Paul and I went to Capitol Commons along Shaw Boulevard as we kinda saw this on our way to the airport during our previous visit. Weeks before we moved to Singapore, I remember Capitol Commons to be the place where one can go on a food truck hopping. I'm not quite sure where the food trucks went but what we saw were several fully operational restaurants in the area. For this particular visit, we dropped by Nomama to say hi to our friend Chef Him and to check out his new menu. I've known Chef Him way back when I was still wearing my magazine publisher hat. He was the first chef whom I've tapped for an event and I've been his loyal fan ever since. What I like about Chef Him's cooking is the consistency. 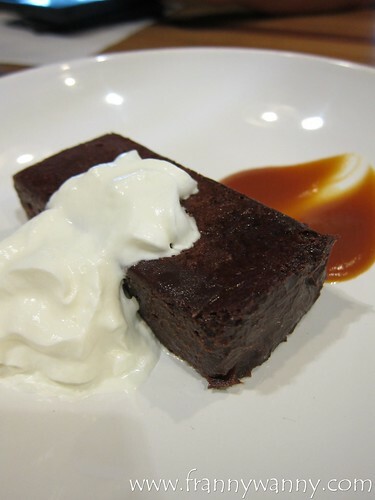 Be it his catered food or the dishes that he would prepare in his very own restaurant, Nomama, you're assured of only the best quality and equally impressive flavor. Not to mention that I'm always so amazed with his food presentation too. So, when Nomama first opened in Quezon City and I heard the Chef Him was holding a couple of private dining sessions for a fixed rate per head, I was pretty determined not to miss this opportunity. It has been 3 years since and we've been back a lot of times that I've actually lost count. 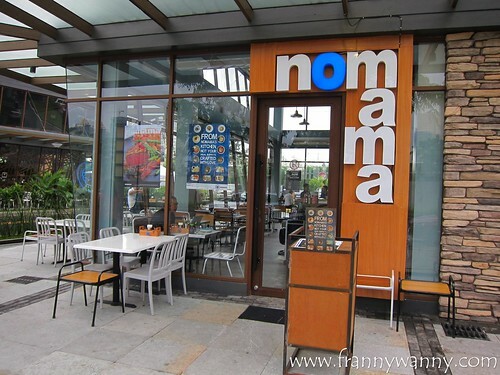 That's why I was so surprised when I found out that Nomama is closing its Quezon City branch and has moved to Capitol Commons. I guess, it's because Chef Him is opening a new restaurant concept also in the same area so it makes a lot of sense to just keep both restaurant close to each other. I always enjoy having something light to munch on as a way to start a meal. 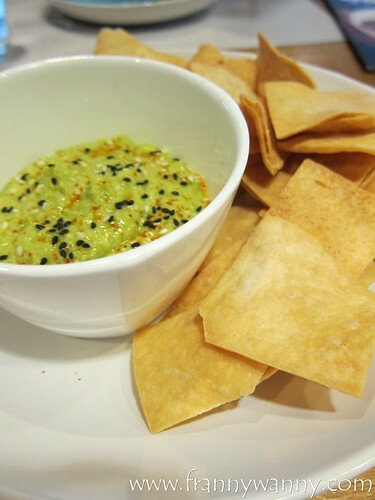 Biting into the thin pita chips, I really enjoyed the mix of spices added into the edemame hummus. It was really yummy. So yummy actually that I shamelessly cleaned our bowl almost sparkly clean. Yes, it's true. Nomama is a Japanese restaurant but then again, it's not your ordinary Japanese restaurant. Taking the traditional Japanese flavors, Chef Him would creatively give a fun twist to every dish. Take these bite-sized sliders for example. He has innovatively created a new way of enjoying what would have been a typical chicken karaage or deep-fried soft-shelled crab. These would go so well with a bottle of beer or to be really modern, how about some fruity sake mix? One thing that I love about Nomama are its ramen. 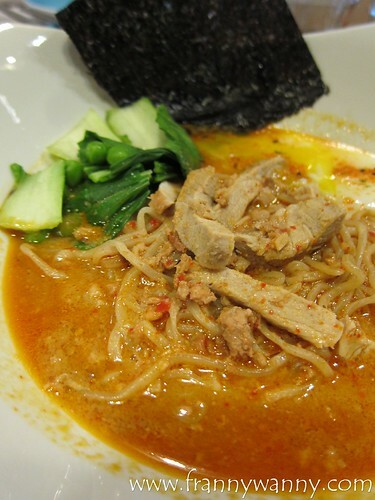 We noticed that over time, Nomama's ramen noodle quality just keeps on improving. 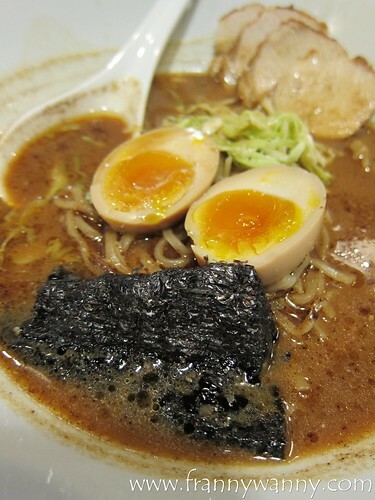 We enjoyed this signature ramen cooked in a special miso-sesame broth and topped with chasu and tamago. It's a classic and you'll never go wrong ordering this. However, first (ramen) love never dies, I always believe. 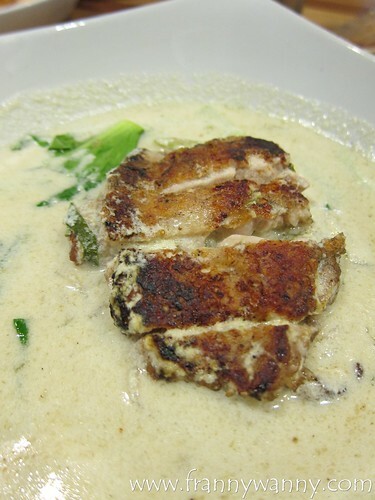 For me, I've loved the Thai Green Curry Ramen for years and it has remained to be my favorite till today. I can never get over the delicious spicy-sweet creamy broth with tender strips of chicken fillet, bokchoy and peas (even if I have to pluck each one out). 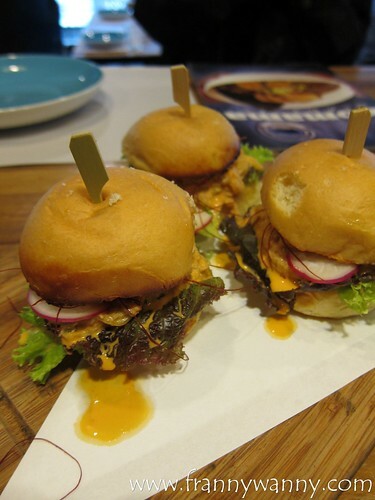 This is definitely a must-try at Nomama. For those who can take the heat, try the Tantanmen which is a spicy sesame-based broth cooked with organic minced pork, chili, poached egg and bok choy. I wasn't in the mood for anything spicy that day so I skipped this. According to Paul though it was really spicy so be ready! Oh I just love lapu lapu! It's amazing that even after roasting the fish, the meat has stayed fork-tender. 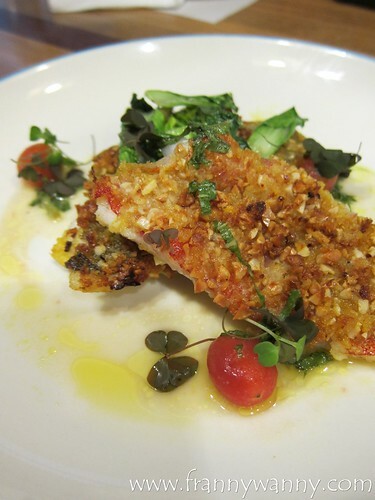 The contrast of the silky soft meat and the nutty crust made it a really interesting dish. I can have this all to myself and of course, a bowl of Japanese rice please (or my favorite ramen would do too!). This is one of our staple orders every time we get to dine at Nomama. 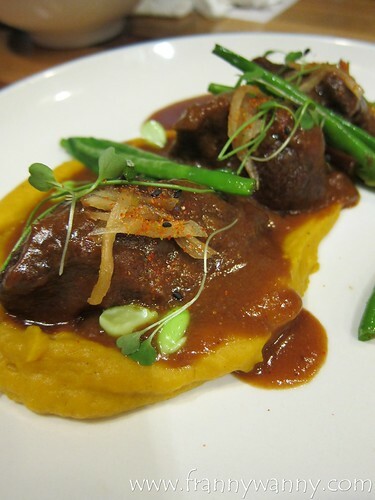 Melt-in-your-mouth beef simmered in delicious sweet miso sauce and served with some pumpkin puree. It's your modern Japanese take of the western steak with mashed potato. Normally, some restaurant would be really creative from starters till the main entrees but sadly, they would leave the dessert selection pretty ordinary. Well, not with Chef Him. Check out two of the desserts that we enjoyed to cap off our meal. Nutella stuffed home made cookie served with homemade ice cream and garnished with strawberries and hazelnut crumbs. This is what I'd call a comforting way to end your meal. 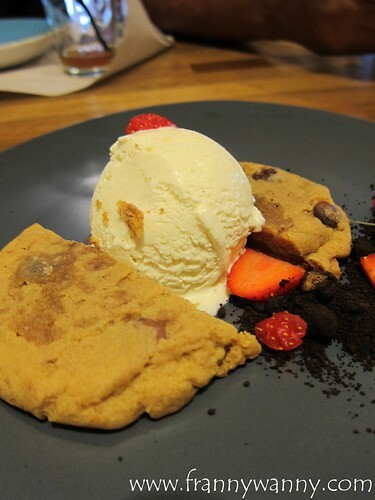 Who can ever say no to good ol' chocolate chip cookie served warm right? However, what won my heart that day was this. I'm such a fan of anything with caramel and combining this with chocolate is just the best way to push all my sleepiness away and to put me in such a happy mood. Really really good and I highly recommend for all of you to try this. We barely had any sleep as we took a red-eye flight home yet dining here a few hours after landing made has surely put us in such a happy spirit. It always feels so good to be home and to be able to enjoy a great meal in Manila. 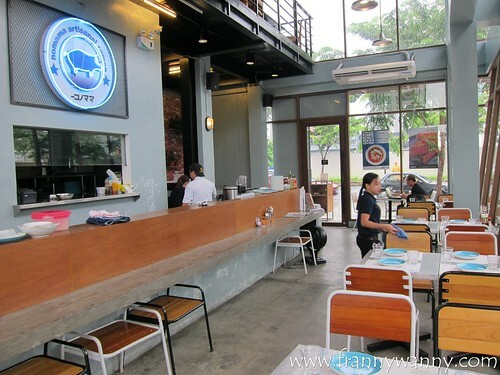 Nomama is located at Capitol Commons, Meralco corner Shaw Boulevard, Ortigas Center, Pasig City. Call them at 542-2558 / 631-8159. Looks like a great brunch place.